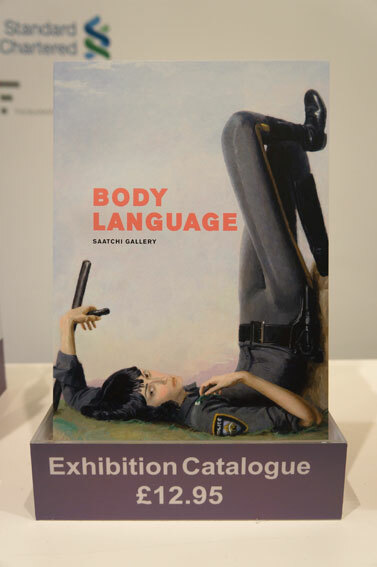 Body Language is the theme of the latest exhibition at the Saatchi Gallery. It presents global and established artists work of figurative art mostly in paintings, but also in other formats like installations. 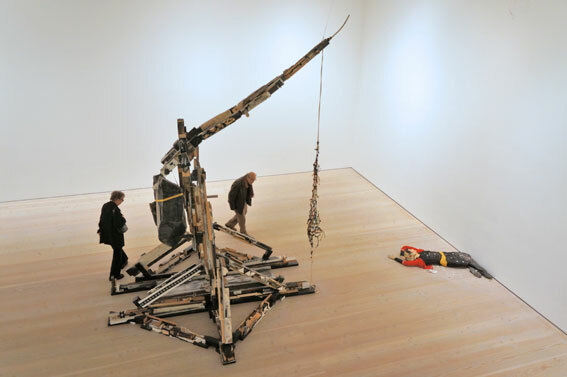 Normally what you expect to see on the gallery’s vast walls is large scale paintings and enormous installations. Basically, a row of show-stopping pieces that you can quickly absorb when passing through the galleries. 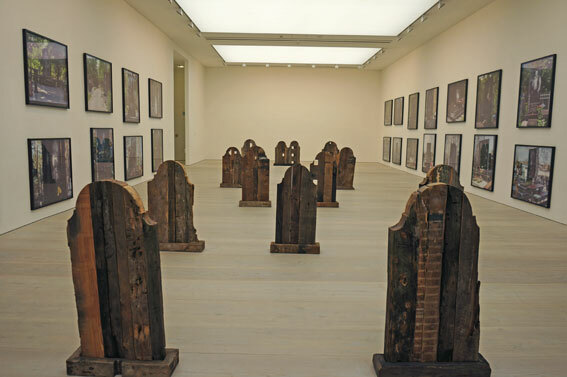 Same applies to this exhibition, it is what you would expect to see at Saatchi. A celebration of postmodern re-figuration of figurative art. Which means twisted, manipulated, altered figures. New representations of identity that is not so fixed, but more fluid. At it’s best it is literally a carnal experience. Like the works of Kasper Kovitz made out of Iberico ham. Kovitz is from Austria but he is now based in Los Angeles and Beirut. Most works are large scale expressive paintings with vigorous, dynamic and colourful, bold brush markings. They come alive at gallery’s large walls. One of the best examples is from Dana Schutz, USA. Yet, compared to previous exhibitions this one still felt like it lacked something. The many paintings just didn’t captivate me personally. In some ways I wanted it to be even more theatrical and more installations would have added to the drama for it to become an even more bodily experience. Now it wasn’t here or there. A great example that in my opinion worked well was Marianne Vitale’s, USA unmarked gravestone installation together with Denis Tarasov’s, Russia amazing series of photographs of Russian gravestone of deceased people how he or she wished to be seen and remembered.